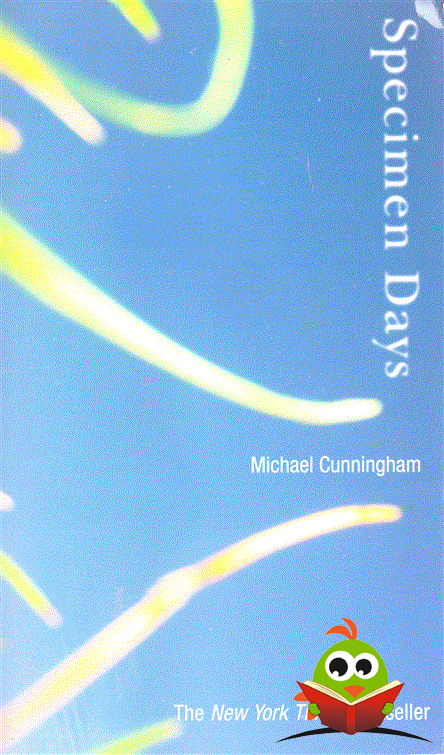 In Specimen Days, the Pulitzer Prize—winning author of The Hou Michael Cunningham, celebrates America in all its grime a glory, its poetry and its terror, from the Industrial Revolution tO post-apocalyptic future. As a man, a woman, and a boy reappe in different guises in different centuries, the novel itself mo from a Victorian ghost story, to a contemporary psychologie police thriller, and finally a futuristic love story. 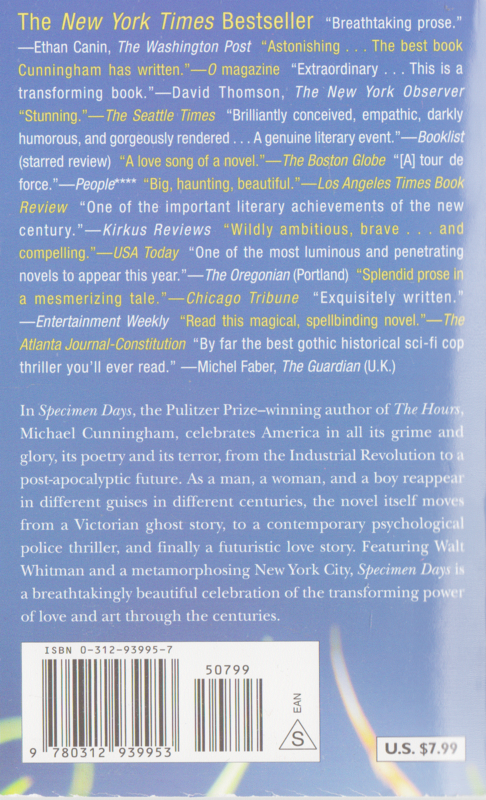 Featuring Wait Whitman and a metamorphosing New York City, Specimen Days-a breathtakingly beautiful celebration of the transforming pct '- of love and art through the centuries.